Locally-Owned & Community Focused - Founded by a Roanoke native, Virginia Varsity Transfer is based in Salem, VA while Virginia Varsity Self Storage has locations throughout the Roanoke and New River Valleys. Virginia Varsity recognizes the community's role in its growth and continually reinvests and gives back to the community. 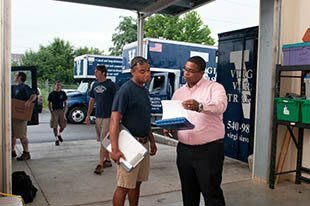 Nationally Licensed, Certified Company - Unlike many local companies, Virginia Varsity Transfer maintains all required licenses and certifications to offer local and long distance moving. In addition, both moving and storage companies belong to their respective national trade associations to stay up to date on the newest industry developments. Direct Long Distance Service - Virginia Varsity Transfer offers a very unique service that our customers love - direct service for long distance moves with set delivery dates performed by the same crew throughout the move. This certainty removes a great deal of the anxiety of moving. 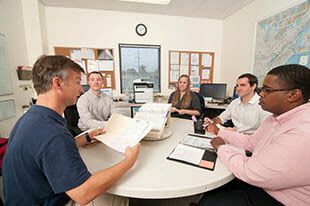 Professional Company with Outstanding Reputation - Virginia Varsity has great reviews wherever you look. We encourage you to do your homework on us. Check out our reviews or ask your neighbor! Ethical Business Practice - In 2000, the Better Business Bureau of Western Virginia awarded Virginia Varsity the "Torch Award" for marketplace ethics; VVT was a national finalist. Residents of the Roanoke Valley have voted Virginia Varsity Roanoke's Best Mover through the Roanoker Magazine every year since 1996. Experienced, Well-Trained Staff- We will never use day laborers. Our moving crews are experienced, full-time and dedicated to our company and our customers. All Virginia Varsity staff are selectively hired and thoroughly trained with a rigorous multi-step program and offered monthly incentive-based performance bonuses. Honest, Accurate Estimating - We don’t like hidden charges and unexpected fees any more than you do; which is why we are up front with our estimates. In evaluating your moving and storage needs, we will ask a lot of questions to fully understand the entirety of the situation and determine how we can best meet that need. We then provide you with an estimate that you can expect to be accurate. Quality Storage Properties – We have multiple convenient locations throughout our region to serve you. Our facilities are high quality, professionally managed and offer options for whatever your need, including climate controlled self storage. Search for the location nearest you. Storage for Everyone & Everything – Our storage properties are ideal for all uses and needs; including students, families in transition, businesses, sales reps, renovation projects, and many other situations.